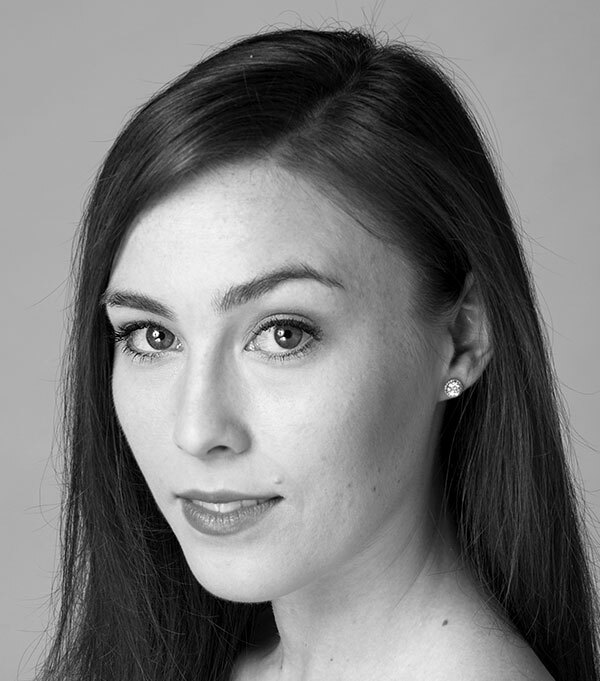 Elizabeth Mateer has danced featured roles in Tomasson’s Haffner Symphony (soloist) and Nutcracker (Queen of the Snow, Sugar Plum Fairy, Spanish, Arabian, and French); Robbins’ Fancy Free (pas de deux); and Wheeldon’s Cinderella (Russian Princess). She created a featured role in Dawson’s Anima Animus and a corps de ballet role in Pita’s Björk Ballet. Her repertory includes Balanchine’s Diamonds and Serenade; Peck’s In the Countenance of Kings; Robbins’ The Cage and Opus 19/The Dreamer; Scarlett’s Frankenstein; and Tomasson’s On a Theme of Paganini, The Sleeping Beauty (Tsarina, Garland Dance, Countess, Ladies of the Court, Nymphs, and Polonaise), and Swan Lake. Elsewhere, Elizabeth danced principal or featured roles in Balanchine’s Emeralds (pas de trois), The Four Temperaments (1st Theme), A Midsummer Night’s Dream (Helena), George Balanchine’s The Nutcracker™ (Sugarplum Fairy), and Raymonda Variations (Variation 6); Forsythe’s in the middle, somewhat elevated (principal) and The Second Detail (principal); Kylián’s Forgotten Land (Pink Couple) and Petite Mort (5th pas de deux); Ratmansky’s Jeu de Cartes (principal); Robbins’ Afternoon of a Faun (principal); and Wheeldon’s Liturgy (principal) and Polyphonia (principal). Her repertory includes Balanchine’s Agon, Ballo della Regina, Diamonds, Serenade, Slaughter on Tenth Avenue, Square Dance, Stravinsky Violin Concerto, and Who Cares? ; Forsythe’s Artifact Suite; Neenan’s Carmina Burana; Petipa’s Giselle; Petit’s Carmen; and Wheeldon’s Swan Lake.